In 1937, the University of Chicago historian Dodd, US ambassador in Berlin, who saw the Nazis for what they were, had to talk at the zoo (“Tiergarten“), far from Nazi mikes, and spies, with the French ambassador, on how to fight Nazism (see the excellent book, “The Garden of the Beasts”). Instead the USA and the UK governments, at the highest level, informed Hitler that his own High Command was plotting against him. The US president fired his anti-Nazis ambassadors in Berlin and London, and replaced them by pro-Nazi ambassadors. Most people know the rest of the story: by chance (mostly), 157 German divisions defeated the 110 divisions, six million soldiers French army in May-June 1940. (Germany had mobilised 4,200,000 men of the Heer, 1,000,000 of the Luftwaffe, 180,000 of the Kriegsmarine, and 100,000 of the Waffen-SS.) Encouraged, Japan and Italy, the allies of the Nazis, also attacked the world, Nearly 5% of the world population died from the war. Entire communities, like European Jews got mostly wiped out. At the time, the British army was 200,000 men, and the US army, even smaller. “It’s no longer the case that the United States will simply just protect us,” Merkel said to applause in a speech honoring French President Emmanuel Macron, who sat behind her at a prize ceremony in Aachen, Germany. “Rather, Europe needs to take its fate into its own hands. That’s the task for the future”. Emmanuel’s Workers-Unite Fist? Or Roman-Imperial Fist? Both are needed, anyway. And here she is, ready for her punishment, a chastised Angela herself! Well, Angela Merkel, typically clueless German politician, in the old style who brought us the Kaiser and the Hitler, in their cluelessness, let me teach you: the USA simply didn’t protect Europe, in the greater scheme of things, far from it. The US nasty plutocracy is in command for more than a century, and it’s no friend of Europe. The US rescued Europe from wars it enabled discreetly! The USA leadership has long just played friend of Europe, the Europe of the 1%, in the media (which it owns). The USA encouraged the Kaiser Wilhelm II to go berserk in 1914. Some will say it’s my opinion, a matter of taking at his own word what happened when Colonel House, right arm of US president Wilson, a racist “Democrat” visited with the Kaiser in Berlin, June 1, 1914. (I documented this in other essays.). However, it is plainly visible that the USA, with the complicity of the Netherlands and its corrupt (yet much admired) queen, broke the Anglo-French blockade of the Kaiser, and thus extended the First World War by several years... until Wilson saw fit to finish the Kaiser… (a blockaded Germany would have had to capitulate quickly). US unemployment at 3.9%, North Korea making peace, after 67 years… Yes, well, how does Trump do it? Trump, as many presidents before him, decides to spend, as needed, and the hell with it. In March 1933 plutocrat-president Franklin Roosevelt (FDR) came to power, closed all banks, devalued the dollar, defaulted on US debt… And FDR decided to build a giant 24 “FLEET” Aircraft Carriers fleet. For comparison, Nazi Germany planned to launch two “Fleet” aircraft carrier by 1945. Yes, just two. Japan scrambled to build eleven, but their carriers were less advanced, and often just rededicated heavy cruisers: they didn’t have armored decks and steam catapults. So Trump does it as FDR did it, or Darius, or Caesar, or Diocletian, or Peter the Great, did it: a sovereign, truly sovereign state, spends, orders and organizes, as vitally needed. This is how Stalin and its USSR could defeat the Nazis (with major help from US materiel, UK intelligence, and Hitler’s personal incompetence). Rebellious Macron? Correct Trump? Yes! 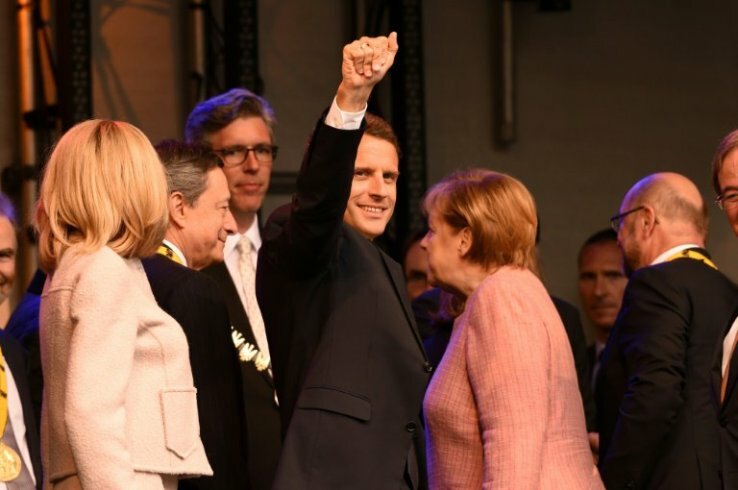 “Germany can’t have a perpetual fetish about budget and trade surpluses, because they come at the expense of others,” Macron said as he received the annual “Charlemagne Prize” from the city of Aachen (Aix La Chapelle, Charlemagne’s capital, in front of a public including the German chancellor. The USA has roughly the same number of troops in Africa as France does (the numbers don’t look large, but these are modern elite troops, with lots of expensive equipment, and much of the aerial part of the forces operates out of France or the USA directly). Another lesson from the past is that small “neutral” countries, such as Sweden, the Netherlands, Switzerland, Ireland, Belgium, even Denmark, even Portugal (! ), crucially handicapped the French Republic in its 1914-1945 war against fascist Germany. The actions of these countries were varied: some supplied weapons and top grade iron (as Sweden did, giving Germany its most useful weapon the 88 gun… and the iron for building all Nazi weapons), others enabled testing and smuggling of illegal weapons and materiel (Portugal). A country, even if small and neutral is not really neutral. There should be, there is, no neutrality, when democracy and civilization are threatened. If present-day Germany, a Republic, wants to play Belgium, 1940 style, let it be reminded that Belgium is a monarchy, and that Nazi armor went, mostly undetected and unopposed, through Belgium and Luxembourg in May 1940: the result was that millions of French elite soldiers, and the enormous French armor (3,000 tanks, three times the number of vastly inferior German-made tanks), found itself, stabbed in the back (with the tiny but very well-trained British army). It is a refreshing change that Donald Trump is not playing that game, where the US leadership supports ideas, ways and means highly detrimental to its mother civilization, Europe… A nasty game Obama was playing, when he claimed in Cairo (!) that Islam was the best thing for civilization, or so (Obama has never heard of Pirenne’s thesis). Trump is telling the Europeans: time to defend your values, if you really care about them. Forced we are to see that Germany still doesn’t completely get it! Angela Merkel is in her last bout as Kanzler: she should use the occasion to get herself more civilized, and not just play one on TV! Declare war to German policy, as it is, because it is not just driving us to war, but is already part of the increasing war against civilization we are experiencing in so many ways… The refugee problem, and the terror problems are, basically, military problems, and German, and pseudo liberal, or pseudo-leftist obscurantism have been the drivers (as they profit global plutocracy!) Fundamental French problems are global. And global starts next door with a selfish wealth captured German policy. Those global problems which affect the French Republic severely have to be solved, otherwise, la République se retrouvera en marche arrière…. Merkel, although she was endowed with a physics PhD, although she was raised in East Germany, the child of a pastor who emigrated there, in spite of all this, her world vision is limited (so is Macron’s, although he went to Nigeria as part of ENA in 2002). Nowadays, in this world endowed with lots of immigrants, some, like yours truly, have experienced, and have been raised in maximally opposed cultures (I was raised in Muslim countries with Islams wildly superior to the abominable Islam presently promoted by Middle East plutocrats, and their obsequious servants). Actually Macron basically said this, while… Macron expressed a childish, uninformed, wild hatred of colonialism (“a barbarity, a crime against humanity“). Clearly, Macron didn’t think, when he said that, that exhibiting a knowledge of history in-depth was crafty at that point. In truth, we live in a colonial world. Even basic European agriculture is a product of colonialism: Middle-Easterners migrated to Southern Europe, bringing wheat and the like. The Celts were also colons. Estruscan and Greek colons taught cow herders called Romans that reading and writing had its merits. Without Etruscans and Geeks to come around and teach greater intelligence, the Romans would still be living in thickets. Without higher and higher civilization propagating, cannibalism would still be the way. Most of the world population descend from colons, all the way down to Bantu South Africa. Colonialism is not, per se, evil. The devil is in the details. German colonialism in present day Europe is complete self-destroying nonsense. It’s an economic war, in alliance with global plutocracy, and it’s destroying not just European civilization, but civilization itself. Notice the explosion of German production after introducing the Euro. It has been a war, and a counter-attack is on the way. Brexit, in a sense, however nonsensical, is part of it. The rise of US production under Obama is related to spending freely money the USA created out of very thin air. Those who really don’t like it, and try to do something about it, will be shot out of the sky. Any question? In the last presidential elections, more than 46% of the French voted against Europe as it is. They are not “anti-European”, they are against plutocratic Europe. The official political establishment, the “Socialists” and the right were kicked out. Macron is the eighth president of the Fifth Republic. Why five republics? Because France is in the middle of Europe, across the three easy trade routes between the Mediterranean and the boreal regions. Thus France became the head of the European empire (which itself consisted of up to hundreds of states competing with each others, under complex treaties… Treaty, in Latin Foedus, gave the name of the period, Feudalism. 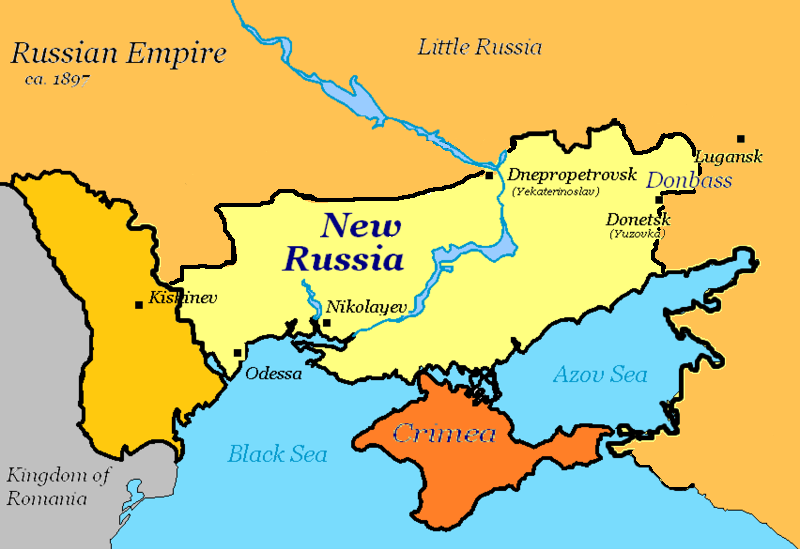 It was launched by the Roman imperial State in the Fourth Century). On and off, France was the largest state, the most organizing, and the most involved in continual wars. This has to be said to Merkel. That poor know-nothing of much importance person, is blinded by pacifism, an inhuman streak. European leaders, in general, have learned an erroneous feel-good vision of the world, where all which feels good is best. Fundamentally, it’s a sort of hedonism. The racist fascist murderous exploitative streak, culminating in Nazism, which came to rule Germany was not persuaded by flowers, but rendered inoperative by millions of tons of high explosives. Prussia had turned the way of the holocaust again in the Eighteenth Century, encouraged and financed by Britain. Its undoing came when France persuaded its ex-vassal Britain to join in militarily destroying the Axis (Germany, Italy, Japan, and explicitly in the end, the USSR). Ultimately, the Romans, having become civilized, intelligent and progressive, thanks to them, kicked out their Etruscan and Greek overlords. The Etruscans were no pushovers: they had deliberately migrated to the iron rich region of Italy, from Syria, which they had previously invaded as “Peoples of the Sea”. The Greeks were the fiercest warriors of antiquity, with the most advanced tech. To master Greeks and Etruscans, the Romans had to become relative supermen, with a super “mixed” constitution. However, the Romans never reached the mental, intellectual creativity of the Greeks. That stay unsurpassed, until the Franks implemented the master strokes of outlawing slavery, tolerating all religions, making universal education mandatory, and minimizing the fascism needed to manage the state.. In the first two centuries of the Merovingians, the Franks fought wars to defend secularism, tolerance, and defeated the Huns, and other non-Frankish remains of Roman military power. Then Clovis’ Franks crushed the Goths in 507 CE, something the Romans could never do, however hard they tried. Then the Franks extended Roman power into Germany, where the Romans had failed to sustainably stay, and went beyond. The snakes around Kanzler Merkel will deny that they injected Europe with poison. 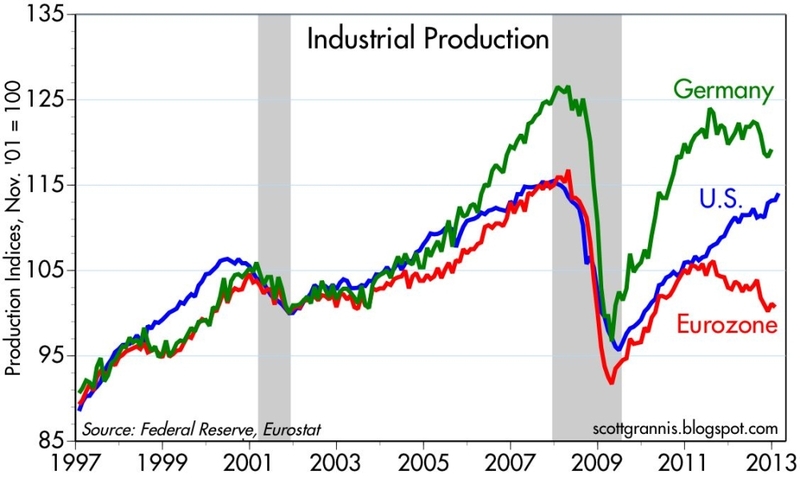 But that’s an outrageous lie, just look at the facts: since the imposition of the Euro in 2002, German industrial production has climbed 50% relative to the rest of the Eurozone (contemplate the graph above). Therein a trick. It’s not because the Germans, who are increasingly old and decrepit, mutated into supermen. It’s because they, in cooperation with global plutocracy, instituted a super trick where only the wealthiest of the rich get financed, and the rest of society is left to die. Last year only 60% of German banks were not bankrupt according to GAAP. That means 40% German banks were bankrupt, but enabled to keep on financing the economy, thanks to hidden local state subsidy. That’s cheating in the same mood as making a fortune out of cheating the Jews out of their properties in the 1930s. Except now the Europeans are the new Jews. Only 60% of German banks covered thru earnings their cost of lending (estimated at 8%). 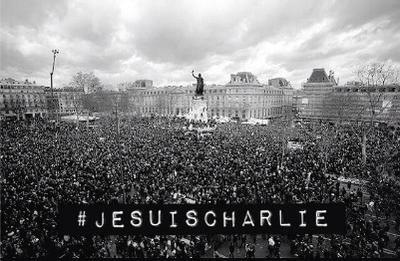 The French have a long rebellious streak, that’s why so much democracy and human rights originated there. Even under the Romans, Gaul revolted, establishing at some point a “Gallic Empire”, complete with legions. Later, in 358 CE, Paris elected the philosopher and Caesar Julian “Augustus” (head of the Roman empire; Julian unfortunately died in present day Iraq, on the battlefield). Let’s try positivism. Elected King Macron goes see head of Germany Merkel Monday. The Franks elected kings for 12 centuries (300 CE until Jean I in 1315 CE; a baby born a king and poisoned as a king, probably, 5 days later; this is when things went down big time). After that, elections were more sketchy. Hopefully King Macron is going to Berlin not to take orders, but to tell Merkel that she has to change her ways, right away. Merkel has to start to be told the truth: her antics about refugees caused Brexit. The best way, when confronting an infamous regime, mass violating human rights is not to accept half of the population as refugees, but to go to war and destroy the regime. In other words, France was right to declare war to Hitler September 2, 1939. I don’t fancy the concept of king. But let’s be positive, there have been good kings. Clovis was certainly a good king: in very difficult circumstances, he scored like 100%, philosophically, politically, religiously, militarily. Bathilde, Charles Martel, Charlemagne, Henri III and Henri IV were also excellent kings, also in very difficult circumstances. So let’s float (once again!) some ideas which could make Macron a good king. If Macron does not implement right away the right, and biggest ideas, he will fail, and quickly. In a way, he is well positioned: the biggest most important ideas pass through Berlin. So Macron should give Berlin a very hard time, while going easy on the French population before the legislative elections. Indeed, the problems of France have to do, first of all, with how the currency and money making finances the entire economy. Many do not understand this. France SHOULD NOT BE a household with only so much money at her disposal (given by the Gross Mutter somewhere). The American, Indian, Russian and Chinese economies work by creating money where and when needed strategically. In the USA money is created in many ways. Federal government spending is just one of them. Sure enough the German Finance Minister, Wolfgang Schäuble, who is in a wheelchair because he was shot long ago, let it be known that France could get her (Federal) State Deficit below 3% (Euro rule). France is at 3.4%. What Schäuble forgets is that it is the French Republic, not Germany, which is fighting fascism. That costs money. Not just the fighting, but financing the military-industrial complex which makes the weapons. In 1940, the French Foreign Legion, then 33,000 strong, disembarked (twice) in Norway, which had been invaded by the Nazis. The French tried to cut the Iron Road”, which was bringing the world’s highest grade iron from North Sweden to Hitler. The french defeated the Nazis, and got ready to cut perfidious Sweden in two. (However France fell then, thanks to the crazy Hitler throwing most of his army, undetected on three small roads in the Ardennes mountains… a performance to be half repeated four and a half-year later!). Germany has to share the economy, and give France the means to ensure the defense of civilization, beyond Trump (and the incoherent Theresa May). 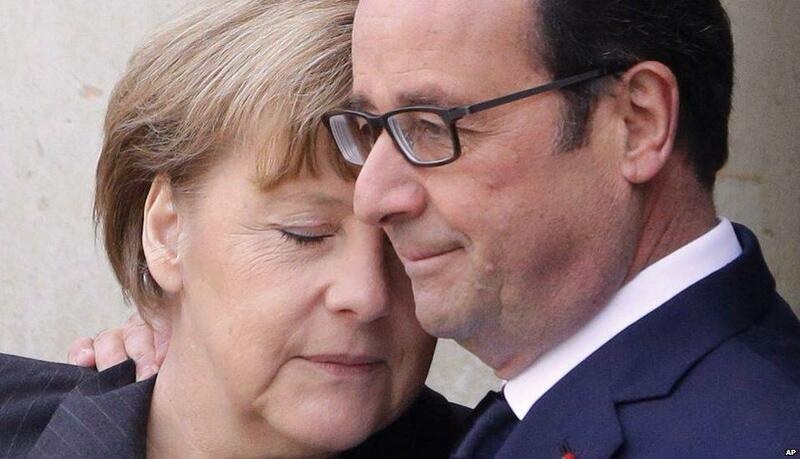 Germany has also to let France have the means of her social policy. One cannot tolerate any longer that US, or world laws which put France at a disadvantage, are tolerated by Europe. For example, the US closes its government markets to EU goods, but not reciprocally. GMO foods of non-EU origin are sold in France, but the French are forbidden GMOs. In the USA, when money is needed, it is made. By the GOVERNMENT: that’s how the US swallowed French giant Alsthom. Swallow enough French giants and France will become a dwarf, clearing the way for the final victory of plutocracy, 225 years after French guns won at Valmy. That frre creation of money is called the deficit, and, as Trump would be happy to tweet you (and any US policy makers behind closed doors) debt is OK, as long as you are the one with the gun, and the only sheriff in town. In the USA, the deficit is allowed to run wild. Germany, of course is different. Like many countries who have done very bad, it prefers to die off, with a dismal reproduction rate. So it’s not friendly to debt. A French helicopter, the Airbus X3, has the world speed record of 487 kilometer per hour (fast copters generally do not make more than 300 km/h). High technology is where the future of Europe, if any, lays. It has to be fed by the best science (Enrico Fermi who discovered the neutron inches ahead of Irene Curie, later became scientific head of the US nuclear bomb project). Merkel has no choice. Macron is the last warning. She better listen to him carefully, there is infinitely worse getting mentally ready out there. Next time the patriots are not going to be as dumb and unprepared as Marine Le Pen, or Melenchon were in the last campaign. It’s not just a question of being anti-German, or anti-EU. As it is, the present EU governance and the present German governance are anti-Europe, and pro-global plutocracy. 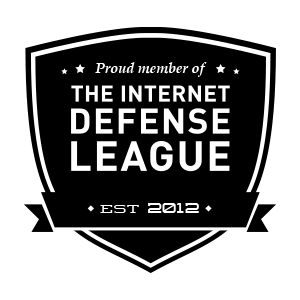 If we explain it long enough, and if official censorship can be turned around (not an easy task! ), We The People is going to get the picture. Sparks will fly. In retrospect, there was nothing terrible about the First French Republic. It was a mistake for the world’s plutocrats to have unified against it (as British PM Loyd George would admit, 120 years later…) However, at the time many (such as the Rothschilds) crowed for all to hear that they acquired government control from it, no less. Alright. But history does not quite repeat itself, when people know about it. Conclusion: Institute Quantitative easing for We The People (instead of the present form, which is only for the wealthiest). Let French deficits run, while feeding the French military money as needed (and lots is needed, because it’s to Europe to re-establish order in its own suburbs like the Middle East, Africa. Accepting 500 million refugees is not the humanitarian solution, the humanitarian solution is just wars, and imperial control by higher civilization). Another interest: it would bring the Euro way down, something needed considering the overall employment crisis. Block and, or tax, all imports into the European Union from countries doing social dumping. Such as T-shirts made by children in Bangladesh, or Medical Doctors imported from India. Impose a carbon tax, massive (it’s OK with the WTO). Macron should also impose the referendum habit, by modifying the Constitution (Referenda are what make Switzerland and California rich) . Why not organize pan-European referenda, for example about the carbon tax, or a tax on financial transactions? Macron can’t make any serious reforms in France in the next month. But he can operate a sickle move, by cutting the grass under queen Merkel’s feet. That would increase Macron’s popularity in France. So what’s not to love? A man character is his crate. Macron wanted to become king. He is. I believe kings are so yesterday. Meanwhile, advanced philosophy shall collaborate with reality, namely that people want kings, and queen. Since it’s all about the power, make the forces of oppression and regression feel it. The Republic has to march, or it will falter, and so will civilization. I have said it many times before, I will say it many times again: the Europe Union was set-up to avoid war. This is what Euroskeptics who claim to love Europe should be reminded of. Especially the British. Of course there won’t be war, or even disagreements, between the French republic, and Britain. There is not the problem. The problem is in Eastern Europe. 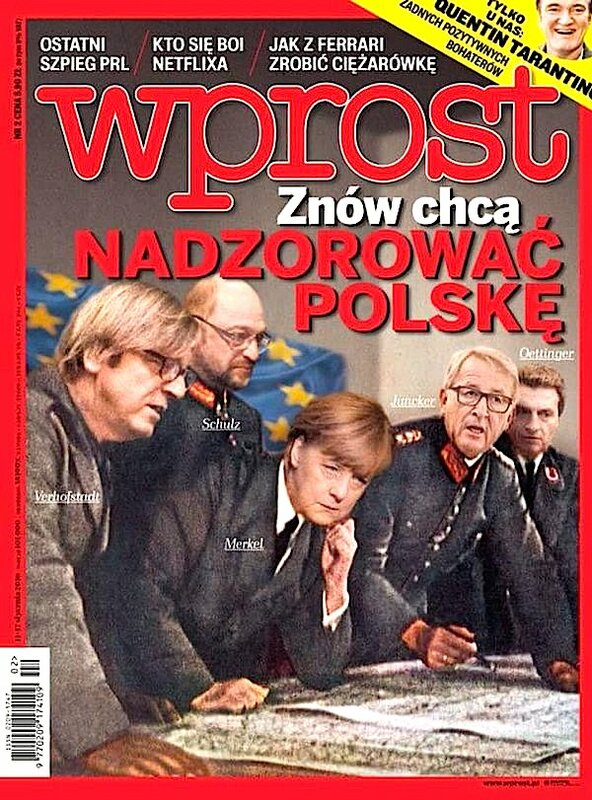 A popular Polish magazine published a cover portraying five leading EU politicians – led by the German chancellor, Frau Angela Merkel – in Nazi uniforms beneath the headline “These People Want to Control Poland Again”. Nice Uniforms. Poland & Hitler Became Allies In 1934. Poland Turned to France ONLY in 1939, After Spain Fell, and So Did Britain Agree to Follow France Against Hitler, After Poland Did, In 1939. Too Late. Germany is paying vast amounts of money to support the sustained and astounding expansion of the Polish economy since 2008. Some Germans of influence are starting to grumble (and they should). Verhofstadt, who leads the liberal Alde group in the European Parliament, called the image “outrageous”, adding that the EU was a “community of values” and that it was “the duty of all of us – commissioners, chancellors or not, to raise our voice when a government is endangering these principles and attacking democratic institutions”. The Germans Schulz and Oettinger, have been critical of the conservative, severely Catholic Law and Justice (PiS) party, in power since October. It strengthened government control over the constitutional court, civil service and Polish public radio and television. Other Europeans are not amused. This problem arose with Austria’s flirting with the extreme right and Hungary’s Orban before. Both became non-sequiturs (Orban took measures many other European states adopted since, so Orban is not that bad). The Francophone Martin Schulz described the Polish government’s actions as a “dangerous Putinisation of European politics”, while Oettinger proposed that Poland should be put under rule of law supervision, a (new) legislation designed to deal with “systemic threats” to EU values. Meanwhile the war against Islam goes on (yes, because that’s what it is, sorry to break the news…). The Islamists attacked in Istanbul, Djakarta, Ouagadougou. There, in the Burkina Fasso capital, two famous Swiss humanitarians were killed by the local subsidiary of Al Qaeda (the USA announced in the past, erroneously it turns out, that they had killed its leader, who had made an attack on an Algerian refinery… Among other things). This shows, once again, that humanitarianism, while not being exactly nothing, is clearly minor relative to militarism: humanitarianism is possible only when an empire has been set-up. Humanitarianism is possible only when a modicum of law already rules. The Islamist State lost 20% of its territory in Syria in a year. The Islamist State is losing ground to Kurdish forces. However the Islamist State still controls 60% of Syrian oil production. The price of a woman on the slave market of the Islamist State was 150 Euros. Holy Islamist script sanctifies slavery, alleluia. Meanwhile, the price of oil is the lowest in 12 years. If we want humanitarianism in Europe, we need an empire first. A republican, democratic empire. Extreme, aggressive localization, fragmentation, nationalism, closing of the borders, competitive devaluations a la Friedman-Krugman, can only lead to war. The latest Star War movie, episode VII, “The Force Awakens” does not hit on that idea. Instead it represents a “New Order” rising to destroy “The Republic”. This was indeed the situation between the “New Order” of the Nazis and the Italian fascists, against the FRENCH REPUBLIC, in the 1930s. But, at the time, the fascists had the help of a deus ex machine, the Anglo-Saxon plutocracy. It’s only the latter, and the influence it exerted on the British and American governments, making their behaviors at best ambiguous (Britain, Belgium), if not downright treacherous (USA). Many Euroskeptics affect to present the meek and weak and inchoating European Union Federal structures as a “New Order” full of strength and evil. But the exact opposite is true. When the Huns in the Fourth Century and the Mongols, a millennium later, bore onto Europe, it is the division, confusion, multiplicity and weakness of the European political structures which made their assaults possible. Earlier the German invasions into the Roman empire (fascist, but peaceful and rich inside) had also be made possible by confusion and weakness. Especially military weakness. The latter was made possible by a lack of means consecutive to plutocratization (the hyper rich refused to pay taxes, hoping that, somehow, weaker official armies would still be able to weaken the enemy enough to make their own private armies able to control the situation…). We are in a similar situation: a raid with a 15,000 men armored thrust by the French, and, or the Americans, would get rid of the Islamist State capital of Raqqa. But, of course, the real problem is Riyadh, the Saudi capital. Why should the West tolerate those outrageous deviants? Because we are led by deviants ourselves. Lesser deviants, maybe, but still deviant. So what of this Star Wars’ The Force Awakens’? Well, I did not fall asleep, thanks to the special effects, which are better than ever (as they should). But, contrarily to the rave reviews I read, the story was boring, an already swallowed, now regurgitated food, we had been served before. Contrarily to the (much decried) “prequels” it did not break any philosophical new ground. The Islamist State writes much better, much more innovative scripts, which dig much deeper in the human condition. Slowly rising consensus: in some important ways (evolution of relative GDP; employment rate; public investment; education’s relative performance), the economies of the leading countries are doing worse than during the “Great Depression” of the 1930s. That’s why I prefer the expression “Greater Depression” to “Great Recession”. And we have seen nothing yet: the cause of the “Greater Depression” of the 1930s was a chain of errors, which were easy to avoid. Thus, the roots of Depression of the 1930s were shallow, easy to avoid next time: avoid splurging, keep international trade going, use public money to avoid 9,000 bank failures (in the USA alone), and institute a FDIC (Federal Deposit Insurance Corporation: Europe’s “Banking Union” is trying to mimic that). There are serious problems now, much more serious than in the 1930s. Including a lack of seriousness. Serious reasons for collapse caused the long decline of the Roman Empire, or struck shortly after 1300 CE, when entangled ecological, climate, demographic, and plutocratic crises, with an attending plague, combined to kill half of Europe, and brought five centuries of war. Indications are that the world economy, having not really recovered from the 2008 crisis, is stumbling. Especially Europe. 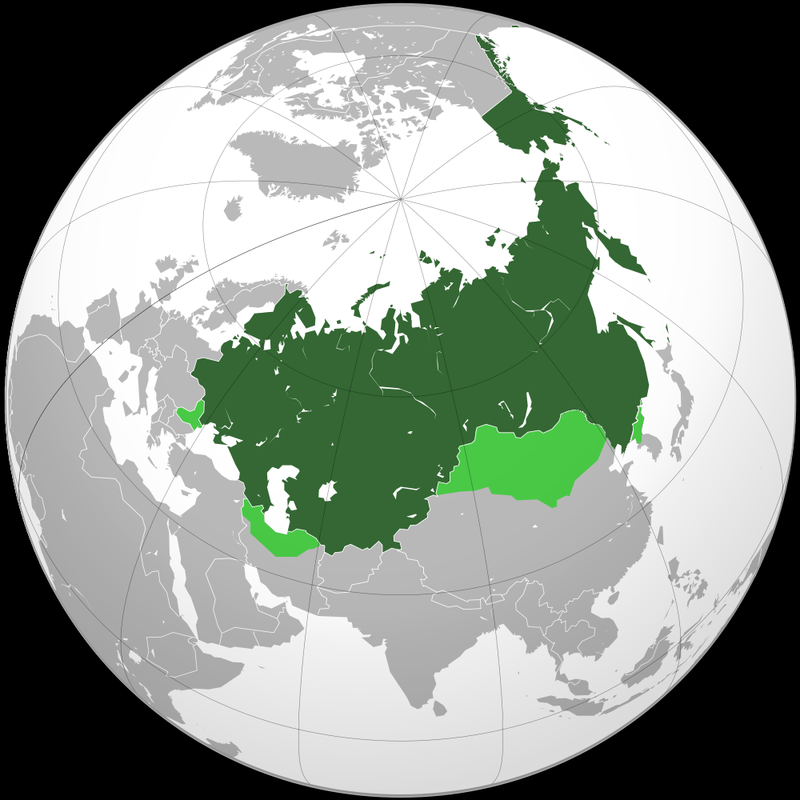 Population: more than 750 million (EU + Russia, etc.). In the 1930s, the government of the USA, first under Hoover, and then much more spectacularly under Roosevelt, starting in 1933, made Herculean efforts (in public spending, and legislation). Nowadays, it’s quite the opposite. Paul Krugman suggests that righteousness is the cause of this decline: see the obstinate Merkel, and the refusal to do away with high debt levels. In “Revenge of the Unforgiven. How Righteousness Killed the World Economy”, Krugman observes that:”…now [world] growth is stalling, and the specter of deflation looms. If this story sounds familiar, it should; it has played out repeatedly since 2008. As in previous episodes, the worst news is coming from Europe, but this time there is also a clear slowdown in emerging markets — and there are even warning signs in the United States, despite pretty good job growth at the moment. Why does this keep happening? After all, the events that brought on the Great Recession — the housing bust, the banking crisis — took place a long time ago. Why can’t we escape their legacy? The proximate answer lies in a series of policy mistakes: Austerity when economies needed stimulus, paranoia about inflation when the real risk is deflation, and so on. But why do governments keep making these mistakes? In particular, why do they keep making the same mistakes, year after year? “What, after all, is our fundamental economic problem? A simplified but broadly correct account of what went wrong goes like this: In the years leading up to the Great Recession, we had an explosion of credit (mainly to the private sector). Old notions of prudence, for both lenders and borrowers, were cast aside; debt levels that would once have been considered deeply unsound became the norm. Then the music stopped, the money stopped flowing, and everyone began trying to “deleverage,” to reduce the level of debt. For each individual, this was prudent. But my spending is your income and your spending is my income, so when everyone tries to pay down debt at the same time, you get a depressed economy. This is a solution I have advocated since 2008. See “Reforming World Finance”, from November 2008, when I naively still hoped my friend Obama would grab the bull by the horns, as if he were courageous, or something. None of these obvious reforms was implemented, but at least now an economy Nobel was given roughly in this direction (see yesterday’s essay). Iceland and Greece did write-off some debt. They had no choice. The nature of the old debt, and the nature of the new debt are the core problems. Debt because housing prices are through the roof comes from lack of building. Debt because of enormous leverage by public-private banks and companies involved in financial horror to steal We The People, is still something else. The erroneous nature of the debt has misaligned the entire economy. We live in a world where there are master sommeliers. And where millions of people are tickled pink by the idea of being waited by a master sommelier, somebody who can look through a bottle thanks to the light of a candle, he expertly lighted, to stop exactly before the deposit at the bottom gets into the clear wine. But then there was not enough money, or interest, to invent an ebola vaccine. Civilization is drunk, Bacchus is god, and Death invited to the party. The entire debt machinery is stuck. Banks have lent to financial conspirators for decades, and are still doing it ever more. This sort of debt ought not to exist. (Bankers have been conspiring to steal on the currency markets, the administration of the USA claims to have just discovered, hinting that this time some bankers may be prosecuted personally. Maybe. Perhaps. We will see… But that sort of outright criminal activity is different from stealing by giving money only to one’s friends and co-conspirators.) What is needed for civilization to survive, is debt that brings new high Return On Investment for We The People. That could be new tech, or new housing, new, sustainable energy sources (my eye being on thermonuclear fusion, a field where power is growing according to its own “Moore Law”, that means, exponentially; to provide clean BASE energy). Plutocracy naturally is not interested by We The People flourishing. Just the opposite: Pluto thrives on misery. That’s the part of the economy which no one very serious, and part of the oligarchy, wants to see. Even normal people do not want to see it: it’s too depressing, and they don’t know what to do. Moreover plutocracy is entangled with a more far-out explanation of the present economic distress: the world is getting old, as the Romans used to say. The Romans needed to transit from the old economy, to a new one. As we do. Paralyzed, mesmerized and occupied by plutocracy, the Romans could not even conceive of the notion (all the more as some zones of the empire, especially in the Orient saw their GDP climbing all the way until the barbarians invaded, archeology shows). Roman mines got exhausted, regions which used to produce lots of food became poor, Return on Investment of many activities collapsed,. there were not enough slaves, nor small farmers to support production, or the army, the economy and security organized until then by the state faltered, from too small tax revenues, and finally the middle class and local government (the “curiales”) were destroyed by taxation, while plutocrats went on a rampage, grabbing most powers. Romans had to make transitions (new tech, no more slavery, less plutocracy!) They didn’t. We are in a similar crisis. ROI is collapsing, so is the biosphere. Robots are threatening to destroy much employment all together. The notion of productive activity, thus productive debt, has to change, forgiven or not. Krugman himself concludes that the debt crisis will not abate. He does not say why. I will: it’s not just out of mental inertia, it’s out of viciousness. Some will say I exaggerate. Not so. Look at Italy. The government debt is around 145% of GDP, and pays more than 3% interest. So it augments at the clip of around 5.5% a year. To diminish that debt, nominal Italian GDP ought to grow at more than 5.5% a year. But guess what? Not only is Italy not growing, but Italian GDP is smaller now than 14 years ago (with a larger population). There is only one way out: default. That is tell the plutocrats that they can forget their money, or, more exactly, treating We The People as if we were indentured servants, or serfs. I rest my case.